All in the day of The Advocate. Our boss Paul Heyman took on the cricket world, teasing them over paraphrasing Eat Sleep Conquer Repeat, and the hilarity started from there. After an entertaining Twitter banter over a tweet praising MS Dhoni, Paul Heyman and his client WWE universal champion Brock Lesnar have been offered tickets to the Cricket World Cup 2019. Paul Heyman was offered this tickets by the official handle of Cricket World Cup after he demanded royalties for a tweet praising MS Dhoni by the cricket account. After the former Indian skipper scored three back to back half-centuries including two unbeaten ones in the recent ODI series against Australia, Cricket World Cup official Twitter account posted, “Eat. Sleep. Finish games. Repeat. Life as @msdhoni.” with a picture of a beaming Dhoni. However, Heyman did come up with yet another cheeky reply to the offer. 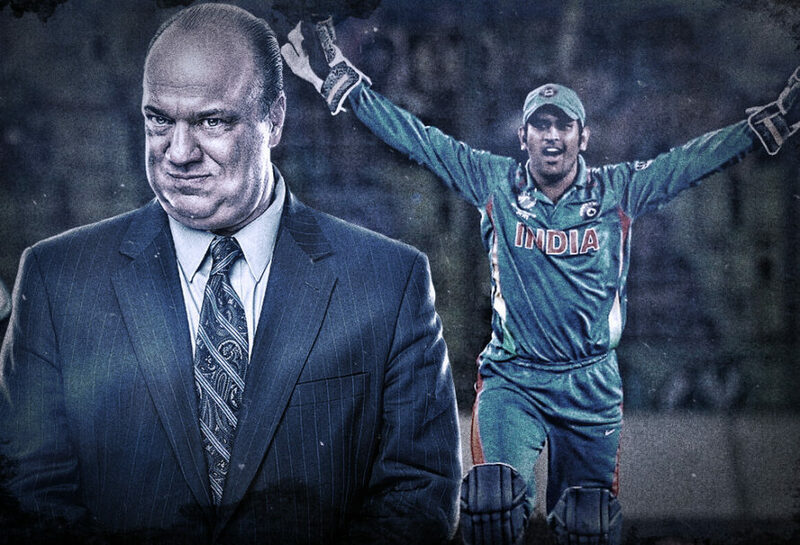 Heyman thanked Cricket World Cup for their offer, while cheekily saying that the event was “exploiting the fame/notoriety” of him and the defending WWE Universal champion. He went on to ask for an “8 figure appearance fee offer”. The Cricket World Cup 2019 will start May 30 in England and Wales. Meanwhile, Brock Lesnar is getting ready to face Finn Balor at the WWE pay-per-view Royal Rumble next. We’re HustleTweeting about the entire cricket world’s obsession with our boss Paul Heyman‘s tweets, and you’re welcome to join the conversation on the Hustle Twitter HERE and also on our hyper-interactive Facebook page HERE!